Since this wolf man has been with the Phillies, I’ve been borderline obsessed with him. Let’s not forget the grand mal seizure and subsequent strokes I had out of excitement when I heard rumors that Jayson Werth was moving to my town. He and J.A. Happ have been the top two in my book–with Happ edging out in front due to the fact that he is not actually married. So I find it only fair that I submit my opinion on the disasterpiece that has grown on this outfielder’s handsome face. Yes, he’s still quite handsome. I will give him that. He’s still got those big, beautiful eyes. And he’s simply a well-rounded player. One of the top hitters for the fightin’s–36 homeruns, 99 RBIs last season. No amount of hair will take those facts away. But what happened to this man during the off-season? Clearly…NOTHING. He’s seems to have gone months without any type of grooming. His child must be terrified of him. I can’t help but worry that at one point in any particular game, the right fielder may get too angry over a rough call, and pounce on the first person he sees. I fear for fans who sit in right field 102-106, god knows how many night games fall on a full-moon. I do find it a little ironic. 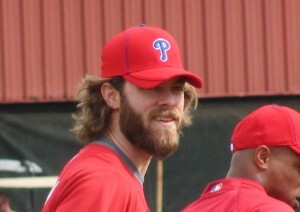 Last season, my brother’s girlfriend Jenna and I would continuously say Werth looked like a vampire. With his direct eyes and oddly shaped teeth. 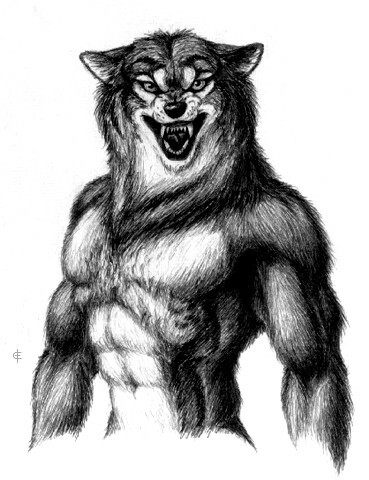 And now he has turned werewolf. This man must be a closet fan of mythical teen romance novels. Another clever reference I have come across is Jayson’s incredibly convincing portrayal of The Dude from “The Big Lebowski. I’m not quite sure I can agree with Mr. Lebowski and say that Jayson Werth’s rug really ties the room together. 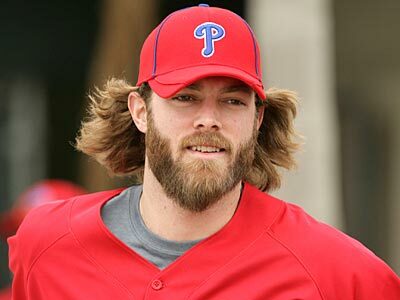 In any case, thanks for emerging from hibernation to make it to Clearwater for Spring Training, Mr. Werth. Now try not to eat any of your teammates, please. Good thing Pedro Feliz is gone, he might’ve been a little too spicy for you.